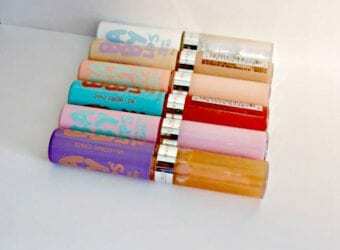 I am such a fan of lip scrubs. I have dry skin and love to use them a few times per week. 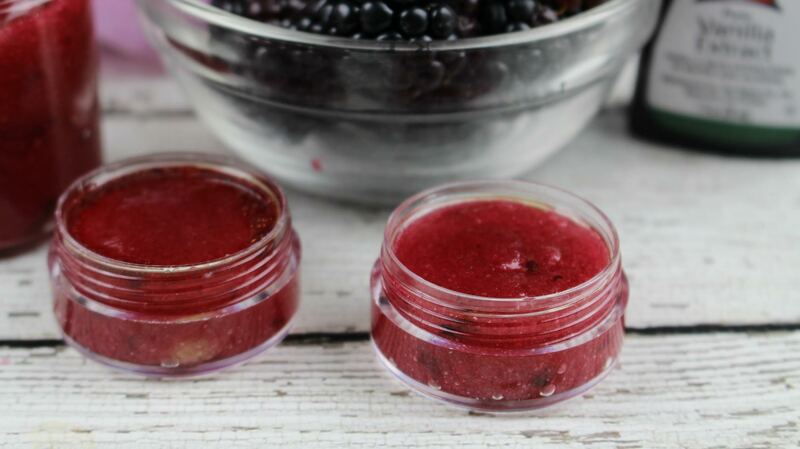 This Blackberry Vanilla Sugar Lip Scrub smells heavenly and works very well. 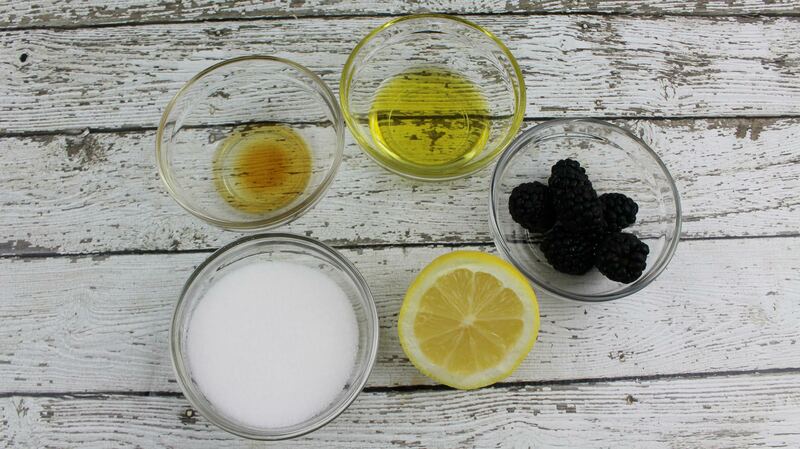 Sugar scrubs are the perfect way to slough off some of that dry skin that doesn't seem to come off with regular cleansing and toning. 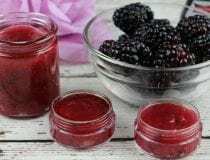 Sugar scrubs are a simple way to create a fabulous beauty recipe with unending variations depending on your mood and preferences. They exfoliate your skin while moisturizing at the same time. 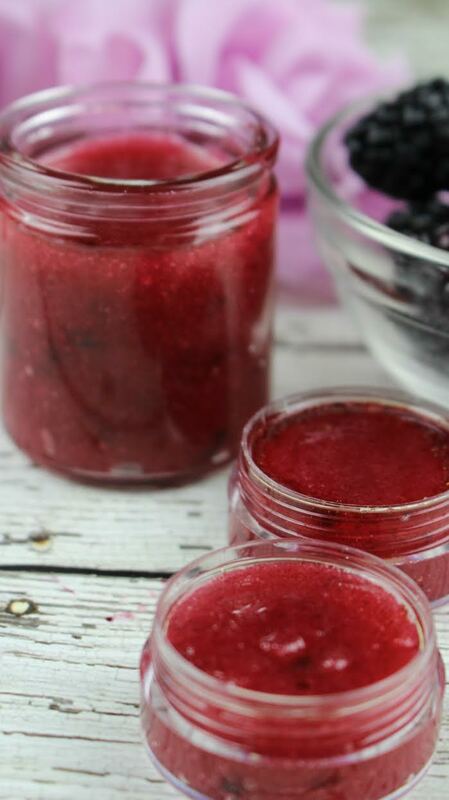 The beauty of sugar scrubs is that you can make them exactly what you what. They make fabulous teacher gifts or holiday gifts. They are perfect just to keep in your home and use for yourself. Set a strainer on top of a bowl. 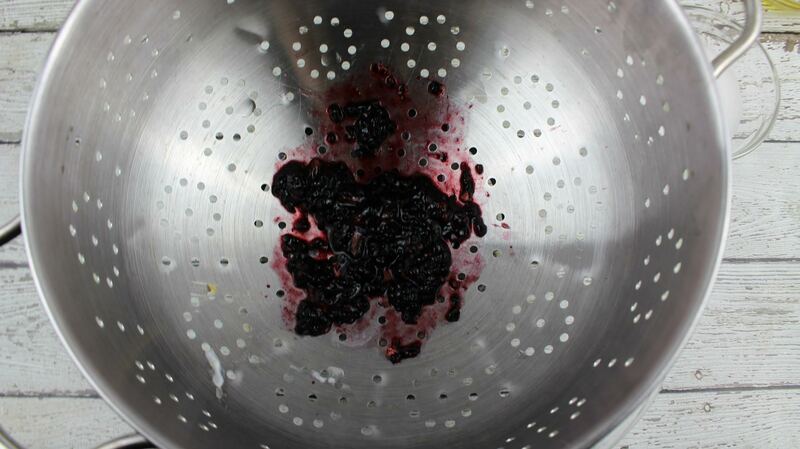 Add the blackberries to the strainer and break up with the back of a spoon, pushing the juices through the holes of the strainer and into the bowl. You will be able to get approximately 1 Tablespoon of blackberry purée. 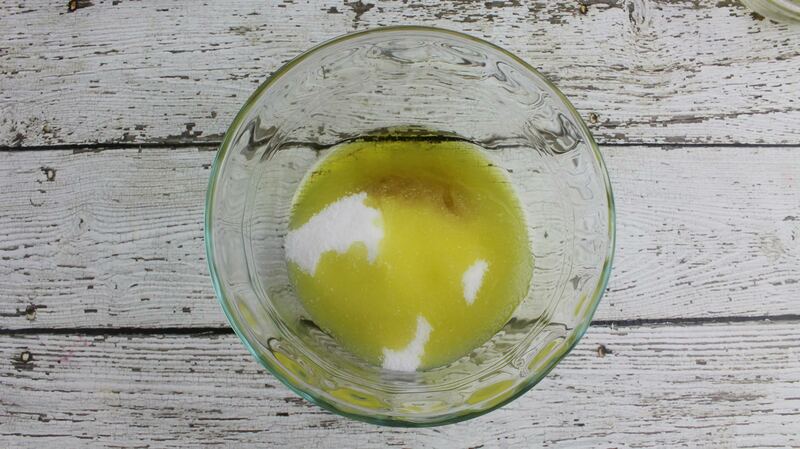 In a separate mixing bowl, add the sugar and olive oil and stir well to mix. Add the purée, lemon juice and vanilla. Stir well to incorporate. 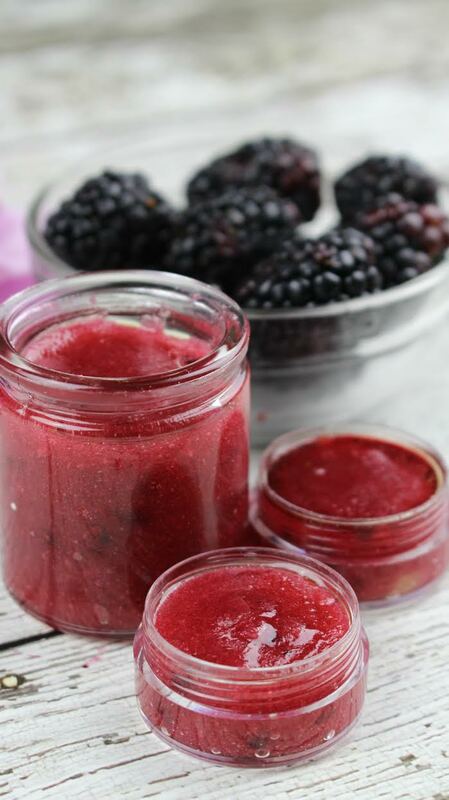 Transfer to an airtight container and store in the refrigerator for up to 1 week. 1. 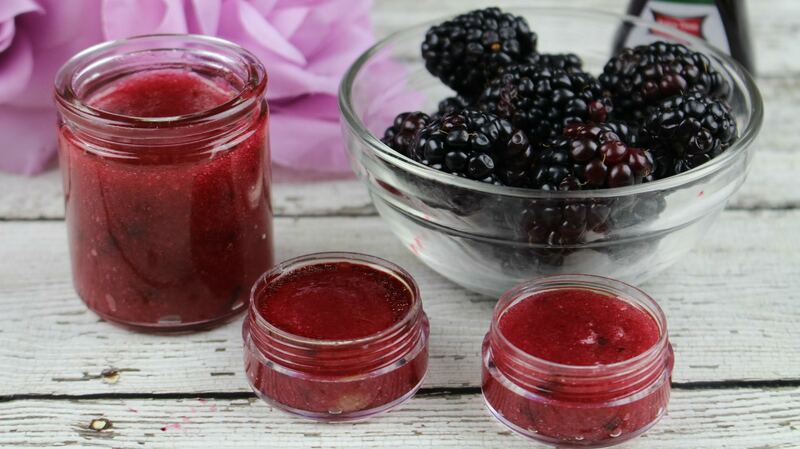 Wet lips with warm water and apply the blackberry vanilla lip scrub generously to lips. 2. Massage in a circular motion to allow the sugar granules to exfoliate any dead or dry skin. 3. Leave on lips for one minute to allow the olive oil to moisturize. 4. Rinse with warm water and pat dry with a towel. 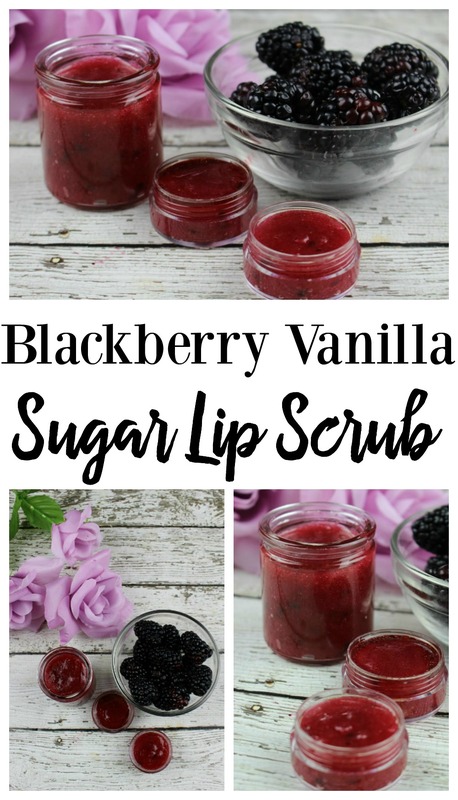 Let us know what you think of our Blackberry Vanilla Sugar Lip Scrub. What a great idea! Thanks for sharing. Have a terrific day!